There is no correct formula to sell your house but these five criteria should at least be met when you put your property up for sale. Pricing is very important. However, pricing it lower than the market rate is definitely not workable because it will cut your profit, but pricing it too high is a no-no too. A lot of house owners tend to price their property higher because they think that potential buyers will always try to negotiate the price down. However, that is not entirely true and it will affect the house owner’s chances. A higher price will receive fewer offers and therefore the property will more likely get stale in the market. That might lead the buyers to become suspicious on why the property has been in the market for so long. In the end, house owners would have spent more time and resources to sell a property and even with a lower price than intended. No one likes to beat around the bush. Most potential buyers would like to set a viewing appointment with house owners as soon as possible. If the house owner is always not available for viewing, it will be a turn off for most buyers and they might just check off the property from their list even before viewing it. Nowadays, people usually go online to search for potential properties. So, house owners need to put up good photographs that accentuate their house’s best features and selling points to attract high potential buyers. With these great photos, it will attract more potential buyers to ultimately close the deal after the viewing appointment. The first impression is the only impression that matters. If your house’s interior is filled with dust bunnies and/or broken furniture and fixtures, there is a very good chance you won’t get interested buyers. Looking from a buyer’s perspective, it will cost them extra to clean up the house if they were to purchase the house. Thus, clean your house first before you list them on the market. Give potential buyers a good first impression, as there is no such thing as a second chance to make a first impression. 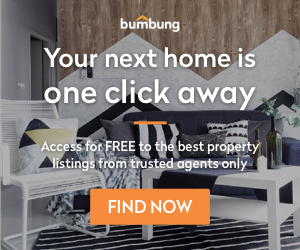 Make sure your property is listed on every major property portal such as Bumbung.co. You can even share it on your social media accounts to reach as many people as possible. Doing so will increase the chances of selling it. Talk to your neighbourhood community as well because most of the time they will know of people who are interested in moving into the area.